Maybe you are new to the Chinese Novel scene and looking for good websites to read their English translations or you are simply looking for more options to consider. Well, you have come to the right place and here you can find the list of best websites to read English translated Chinese light novels and also web novels. On some of the websites, you can also find some of the popular Korean and Japanese light novels. If you wish to check them out, you surely can as some of them indeed have very good reviews. You have to understand the amount of English translated novels these websites host are limited when compared to the vast number of Chinese light novels available on Chinese websites. But then the popular ones are what people really want to read and you can sure to find them on these websites that host the English translation of the novels. 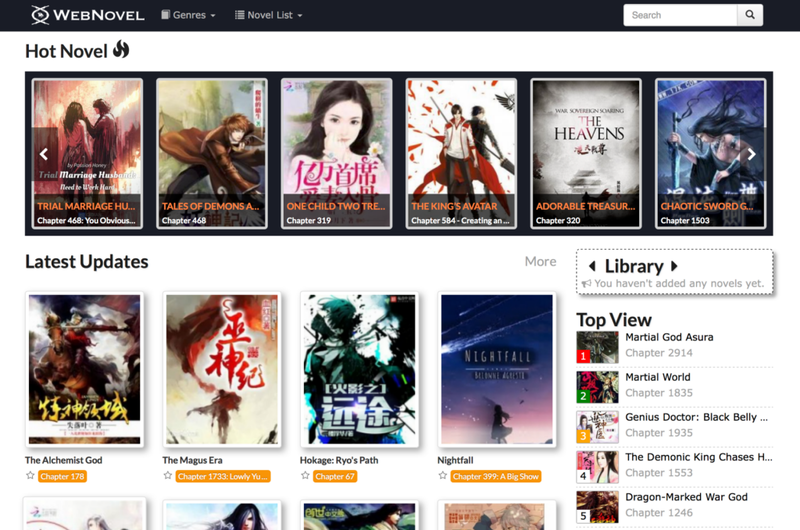 Before you check out the best websites to read Chinese web novels or light novel, have a look at the popular novel categories and some popular genres and sub-genres. The literal meaning is “Martial Heroes.” These are basically stories of fiction that follow normal humans in their quest to acquire supernatural abilities, especially when it comes to fighting. So, they deal with the making of a ‘martial hero.’ Chinese martial art system takes a central stage and it helps if you can read up on it before you pick this category. 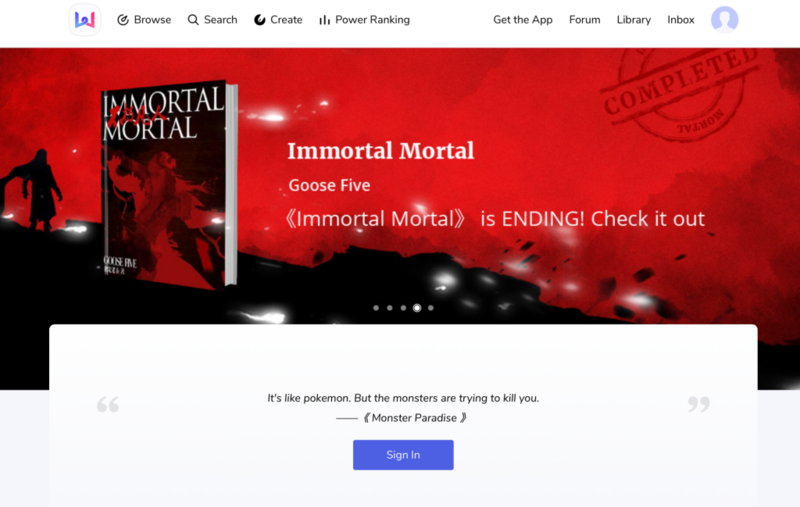 The literal meaning is “Immortal Heroes.” Again, this is also a sub-genre of fiction. The ‘fantasy’ element is more predominant here in comparison to the Wuxia category. Stories feature magic, demons, ghosts and immortals and great sages. They also borrow heavily from Chinese folklore/mythology. The use of Taoism (Daoism) teachings and principles is very strong and Protagonists often attempt to cultivate to Immortality. Hence, seeking eternal life and the pinnacle of strength to become the strongest is a popular underlying theme. The literal meaning is “Mysterious Fantasy.” This category is also a sub-genre fiction with an intermixing of the Chinese folklore/mythology with foreign elements & settings. Note that, here you will generally not find Taoist elements (Yin and Yang, Immortals, etc). 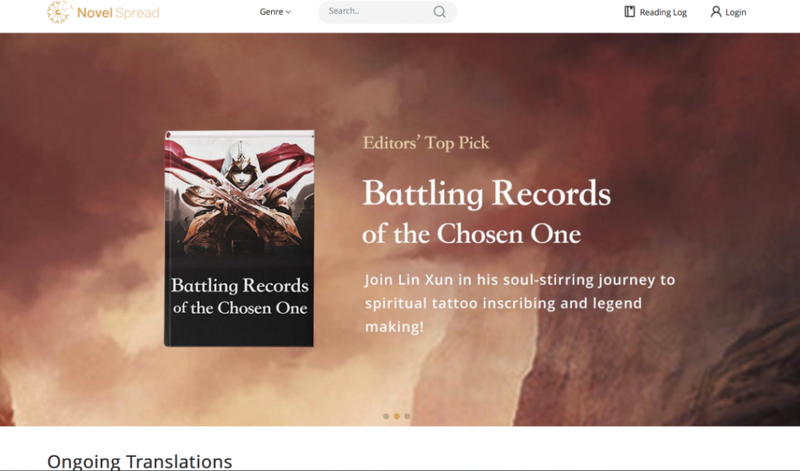 So this way you can easily differentiate between the Xuanhuan and Xianxia novels. This is not a novel category but it really helps to know what this term means. It refers to the community of cultivators who train in martial & mystical arts in order to become stronger and to prolong their life. Some of the best Wuxia novels fall under this category. For a detailed list of Terms that are common in Wuxia, Xianxia & Xuanhuan Novels click here. Fantasy stories depicting the traditional Western world such as that of the feudal society and the power and influence that are part of it. .
From classic immortal hero to the modern-day sage cultivation stories, this genre is very popular with the male youngsters. With strong heroes trying to attain even more strength with the use of martial arts of many kinds, the stories are quite exciting and adventurous. Fictional stories involving online games, game world, competitive gaming and stories that focus on the life of a gamer are the main themes under this genre. Fictional stories involving war and military campaigns or stories describing real war military campaigns, war heroes make a part of this genre. The stories here can include various kinds of the end of the world scenarios, space science fiction, time travel, and such related stories. Hot-Blooded Youth (热血青春 – Rèxiě Qīngchūn): Youth fiction features hot-blooded youth and the tough lives they live. Some stories have young people gaining special abilities and some being out the nuances of living an urban life. Under this category romance is the most popular theme. A variety of romance themes are available. We have stories where the female protagonist is reborn in the past or in the modern-day word with the memories from the past. There is urban romance, the romance involving big-shot businessman, romance stories featuring celebrities, cross-border romance and romantic stories involving a game plot. General categories include stories set in actual situations, marital romance in modern society, suspense, terror & mystery themes. Case solving stories that involve solving crimes and capturing criminals are also quite popular. Humor themes and stories with a campus as the main backdrop and stories featuring distressed youth undergoing difficult adolescent years are available as well. So, pick up a novel form any of these categories that appeal to you. For a list of more categories and sub-categories click here and here. 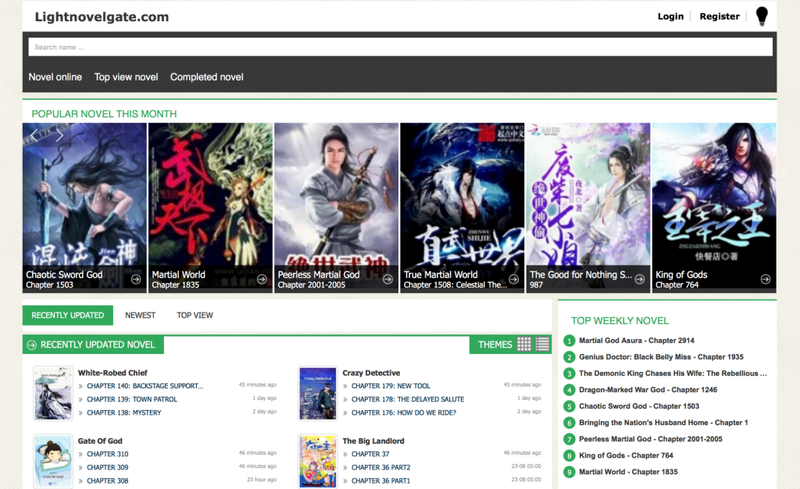 WuxiaWorld is easily the best and the most popular website to read English translated Chinese Light Novels and Fantasy novels. It has light and dark mode. Offers a bookmarks feature. Has separate tabs for completely translated works, popular reads, editor picks etc. Has a resources section where you will find material on the basics of Tao (Dao), general glossary terms, Wuxia-Xianxia terms of address and other useful stuff. The website also features an active forums section for you to post queries. You can quickly create an account using Google+ or Facebook login credentials. Has a discord server where you can possibly hang out with like-minded people and share recommendations. You can add the RSS feed to your feed service to keep yourself updated. The website has a few Korean novels listed apart from the many Chinese novels. Because of all these reasons and an excellent team taking care of the website, this website is highly recommended! WEBNOVEL is another great website to read English translated Chinese Light Novels. It is much fluid than the other websites and is also available as an app. The genres are quite well listed for users to explore them. 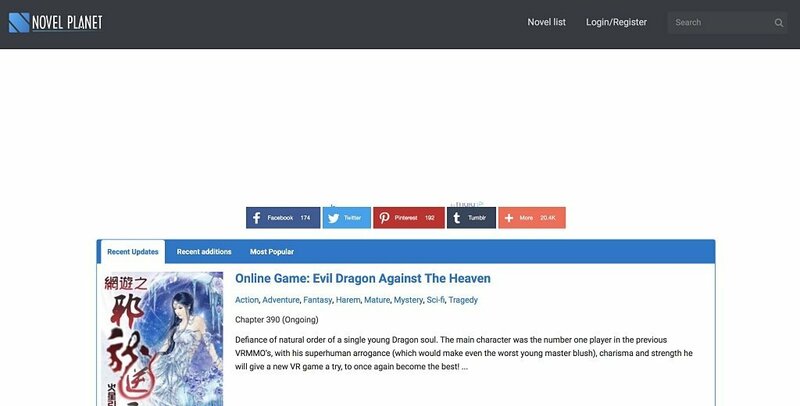 The website offers various handy sections such as the power ranking, popular, ladies pick and new to webnovel. This is certainly a great way for one to discover his/her favourite novel. Not only can you read web novels here you can also write them on this platform. The website offers a guide to aspiring authors. There is also a forum and a ‘library’ feature that severs as a bookmark feature. You can easily resume a novel from where you have left it as the website offers this feature. One major downside of this website is that it forces you to watch ads. To avoid it you will have to shell out some money. If you don’t really mind this then you should really try this website out and decide for yourself. Gravity Tales is a good website but it has a lot of ads. Well, it offers a convenient reading experience. So do give it a try too if you think if it is worth reading from here. After this, you can keep using this website to read English translated Chinese light novels. Additionally, they have a discord server and a forum, so yes, you can get your queries answered very quickly. They offer a dark mode, bookmark feature and a subscription feature. The website has a great list of light novels so yes, this website should be in your bookmarks. Novel Spread is a recent entrant but it offers a great reading experience. Not only does it have more than 250+ titles, and it also offers nice features. If you can just ignore the heavy slider on the top, the website is actually a good one. So, check out the website and create your account to get a feel of this website. LightNovelGate is a very straight forward way to read English translated Chinese Light Novels. The content is neatly organized and mimics the look of a manga website. There are no ads or flashy sliders offer you a distraction-free experience. The website offers a great list of genres and sub-genres and has the novels sorted into weekly hot lists, popular and latest lists. You can easily bookmark the novels by opening an account. This is a pretty decent website so do give it a try. 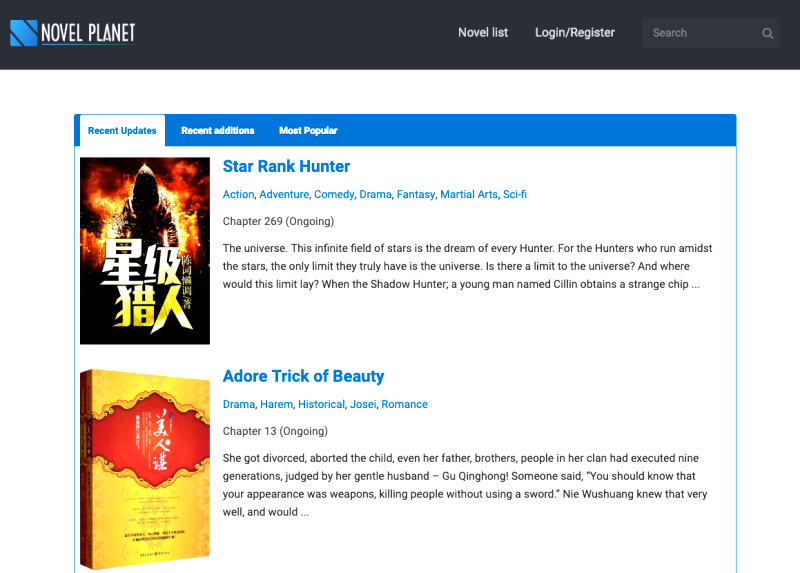 WebnovelOnline is very much similar to the LightNovelGate website. Here there is no option to create an account and instead of bookmarks, you have an ‘add to library’ feature. The reading experience is somewhat better than at LightNovelGate. This is a website that you should pick only if the series you what to read is not available at a better place. Read Light Novel website has a lot of ads but you can find a lot of novels to choose from. The reading experience is somewhat better than most websites too. So check it out to see if you will like it or not. Another great website that offers a good list of titles is Novel Planet. It is a ‘what you see is what you get’ kind of a website with little ads. So do check it out and decide for yourself. When you create an account, it offers you a bookmark feature. The reading experience is fine and you can go for these websites when your favorite novel is not available at a better place. Novel Updates is a handy website to keep a track of the novels receiving translation and updates. It also offers translation news and novel rankings. 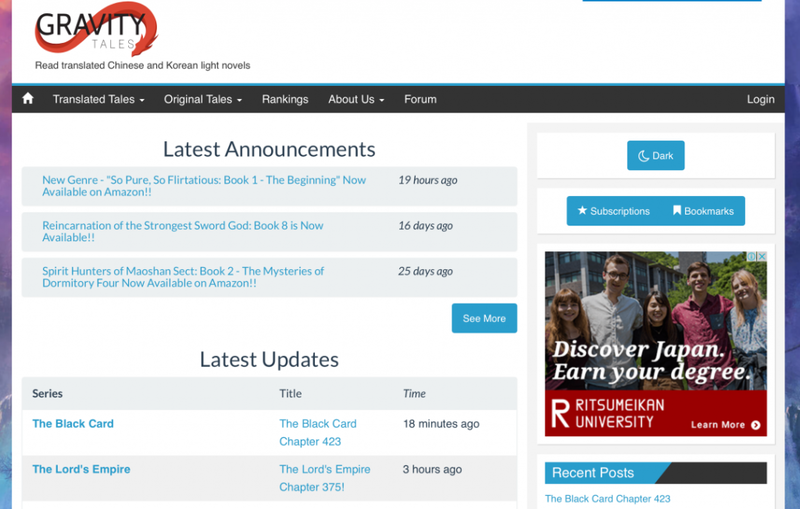 ReadLightNovles is another website to check out as apart from Chinese, it offers a good number of Korean and Japanese novels and offers a great list of genres. Other notable websites include Volare Novels and LNMTL. LNMTL offers web novels that are machine translated and Volare Novels has a fine collection of novels worth checking out. Do let us know of your favorite website to read light novels in the comments section below.